More Arizona students are preparing to learn with a good breakfast served not at home, but in the school cafeteria or right in the classroom. The increase is being driven by strategic state and community efforts to improve student achievement and spurred by research that shows hungry students don’t learn as well as nourished students. Mary Szafranski is associate superintendent of the Arizona Department of Education’s Health & Nutrition Services. 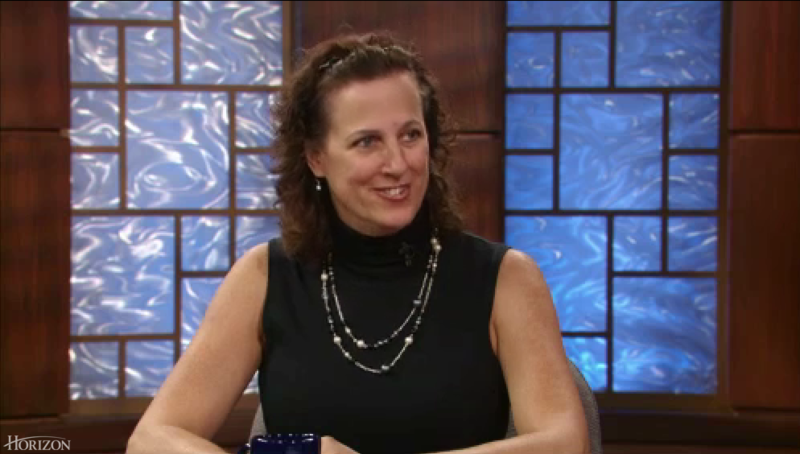 Photo courtesy of Arizona Horizon, a news show on PBS Eight, KAET-TV. Studies have shown that breakfast in the classroom specifically increases attendance, decreases tardiness and improves student behavior, Szafranski said. To make sure students start their day with the critical boost of energy that a healthy breakfast can provide, schools, the Arizona Department of Education and their community partners have come up with some innovative methods, Szafranski said. 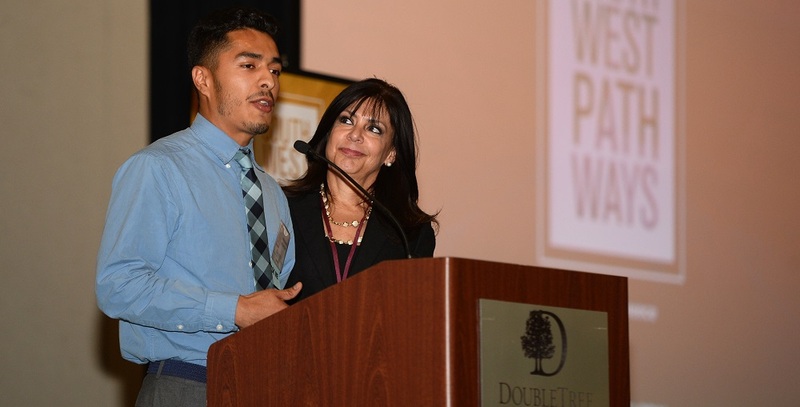 That partnership’s efforts, which include moving breakfast from the cafeteria to the classroom and providing breakfast to all students at some Arizona schools, have been showing strong results. In the past five years, the number of school breakfasts served has jumped more than 18 percent from 39,879,352 in 2009-10 to 48,723,517 last school year. “The Arizona Department of Education continues to develop and strengthen our partnerships, offer technical assistance, and provide the necessary resources to schools so that they can increase the number of children eating the nutritious breakfasts and lunches offered by our schools,” Szafranski said. Q: According to the Food Research and Action Center’s School Breakfast Scorecard 2013-2014 School Year report released earlier this month, the number of Arizona children who qualify for free or reduced meals participating in the school breakfast program rose 4.1 percent in 2013-14 from the previous school year. What do you attribute that increase to? A: ADE has been working very hard to increase the number of children who are eating school breakfast. It is a part of our strategic plan and is a very focused and purposeful intention to identify innovative ways and develop partnerships to increase the number of school breakfasts eaten by Arizona children. 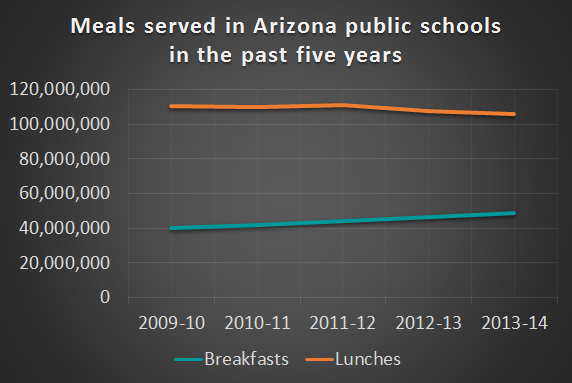 Arizona schools are also working hard to promote their school breakfast programs. We have been working in partnership with the Dairy Council of Arizona, the Valley of the Sun United Way and the Association of Arizona Food Banks to promote the School Breakfast Program. Q: Why is reaching the Food Research and Action Center (FRAC) goal of 70 School Breakfast Program participants to each 100 National School Lunch Program participant so important? A: FRAC measures the participation percentage of students who are eligible for free and reduced price meals. We know that these are the students who are most at risk of being hungry, and research shows that hungry students don’t learn as well as nourished students. 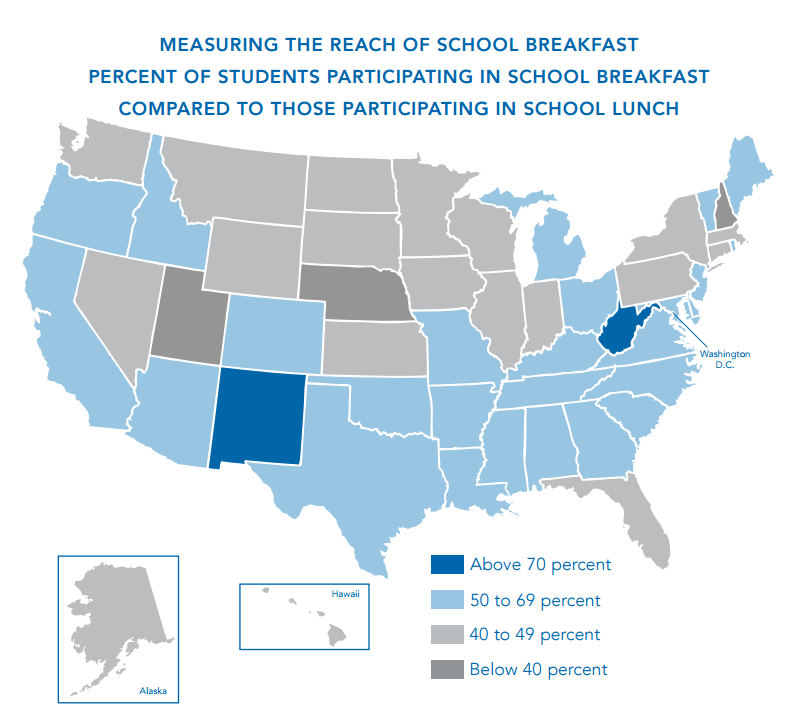 Reaching FRAC’s goal of 70 percent breakfast participation when compared to lunch participation is important because increasing breakfast participation means more students are getting a morning meal and will be prepared to learn. Q: Last year a total of 296,679 students took part in the School Breakfast program. How is ADE’s Health & Nutrition Services encouraging schools to increase student participation in the school breakfast program? Why is breakfast so important for students? A: When a child eats a healthy breakfast studies show that they are more focused, better behaved, are less likely to be tardy or need to visit the school nurse. 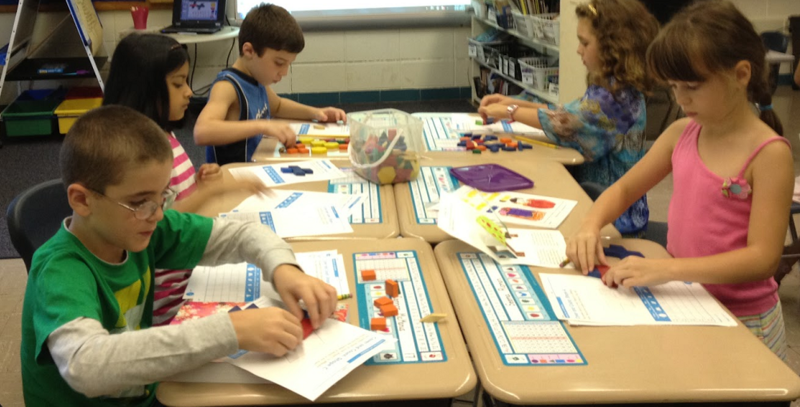 Their cognition increases allowing them to achieve academic excellence. To celebrate and spread the word about “School Breakfast Week”, ADE coordinated a state-wide celebrity celebration to encourage students to visit the cafeteria for breakfast. There were over 30 state and local celebrities, including Drew Stanton of the Arizona Cardinals, Alexa Rogers, Miss Arizona, and athletes and dancers from Arizona State University and the University of Arizona, who have volunteered to help serve school breakfast March 2-6 during National School Breakfast Week. They are also teaching students about the importance of starting every day with a healthy breakfast like the ones available at school. ADE also developed a brief commercial that played on television and radio, in English and Spanish that encouraged families to try school breakfast during National School Breakfast Week. Breakfast is important because research shows that students who eat school breakfast have improved concentration, score higher on standardized math tests, and miss fewer days of school. Students who eat breakfast regularly as children are more likely to maintain that healthy behavior into adulthood. Breakfast prepares students for learning, and helps shape behaviors of a healthy lifestyle. Q: On Tuesday, Feb. 24, ADE’s Health & Nutrition Services hosted a professional development workshop on breakfast in the classroom at the Flinn Foundation. Could you tell me a little about what that focused on and why? A: This event focused on the planning process and resources available for schools interested in transitioning to serving breakfast in the classroom. When breakfast is served in the cafeteria, students have to decide between being active or eating a nutritious meal before school starts. 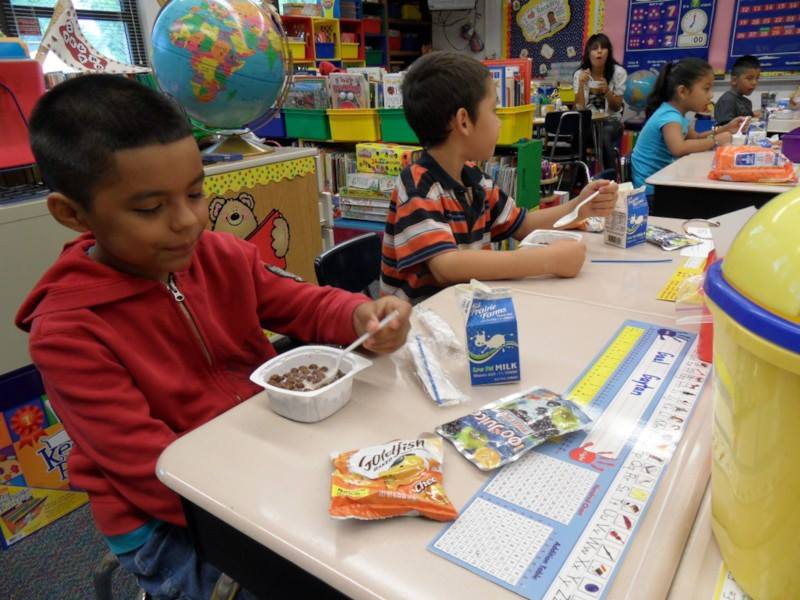 Transitioning to breakfast in the classroom removes their need to decide between two healthy options and allows students to be active on the playground before school starts as well as to start the day nourished. Schools who have transitioned from breakfast in the cafeteria to the classroom can increase the number of children eating breakfast from 30 percent to 50 percent. This event was coordinated in collaboration with our community partners, as we work together to reduce childhood hunger and prepare students for learning.